A freak shuttlecraft accident -- and suddenly Captain Kirk and most of his senior officers find themselves adrift in space, with no hope of rescue, no hope of repairing their craft, or restoring communications -- with nothing, in short, but time on their hands. Time enough for each to tell the story of the Kobayashi Maru -- the Starfleet Academy test given to command cadets. Nominally a tactical exercise, the Kobayashi Maru is in fact a test of character revealed in the choices each cadet makes, and does not make. A freak shuttlecraft accident -- and suddenly Captain Kirk and most of his senior officers find themselves adrift in space, with no hope of rescue, no hope of repairing their craft, or restoring communications -- with nothing, in short, but time on their hands. 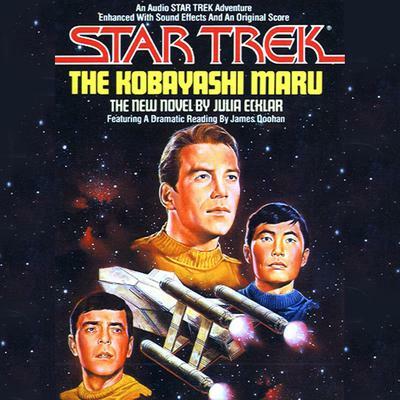 Time enough for each to tell the story of the Kobayashi Maru -- the Starfleet Academy test given to command cadets. Nominally a tactical exercise, the Kobayashi Maru is in fact a test of character revealed in the choices each cadet makes, and does not make.